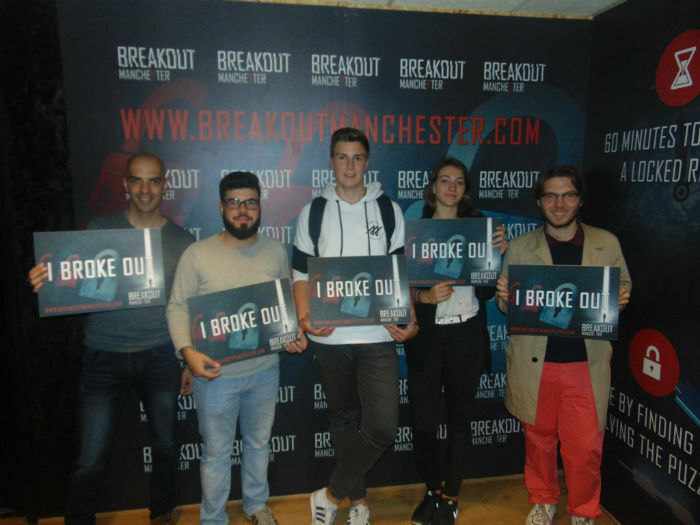 “We arrived the hall of breakout. One of the staff members welcomed us and wanted to know whether we have some experience in playing escape games. He realized the most of us had their first escape room experience on this day. So he has given us a detailed introduction than. Before the game has been started they took me in the room at first. Because I was the wrongly imprisoned person in this game. He handcuffed me and looked me into a cell. Now the game could finally start. The others came in the room and it was their task to free me from the cell and afterwards we had to escape the room before the warden is back in his office. The room was separated in a cell and the warden’s office. Obviously the warden was a big fan of playing games. We’ve found some play cards, poker chips and a chessboard. Now my mates started to investigate his office and I my cell. Unfortunately my range to move was rather limited because of my handcuffs. But one of my mates found the key and I could free my self from my handcuffs. But I was still locked in my cell. Our EC Students succeed to escape the room! It was close! A lot of activities are organised every week at the school! So just as Rene, subscribe to a General English courses in Manchester!